For over 13 years, composer Troy Rogers’ creative work has focused on the development and exploration of robotic musical instruments as generators of new musical possibilities. As a musical robot maker, he co-founded Expressive Machines Musical Instruments (EMMI), a group of composers dedicated to exploring and expanding the potential of robotic musical instruments. As a Fulbright scholar, he spent time at the Logos Foundation in Ghent, Belgium working with Godfried-Willem Raes and what is perhaps the world’s largest robot orchestra, where he developed a singing vocal robot, Stemmetje. 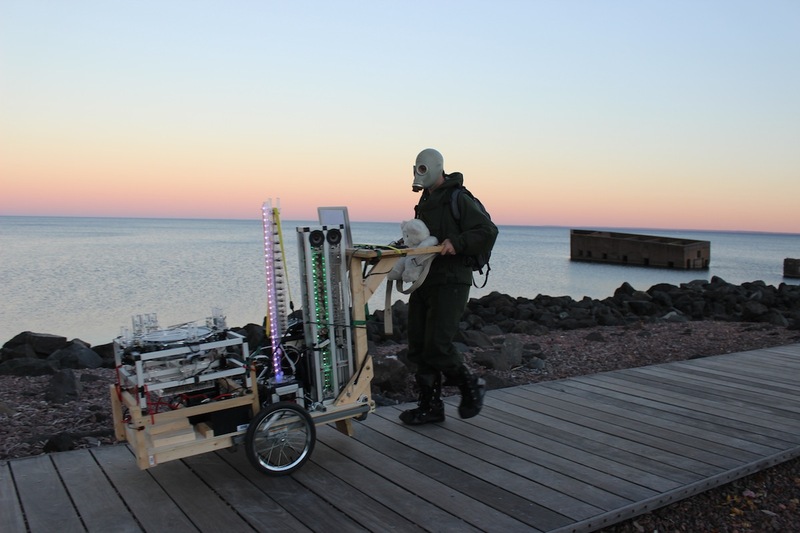 Living the life of an early 21st century semi-nomadic robot herder, he resides in Duluth, MN when not touring the country in the RoboRig, a mobile platform for the development and dissemination of music for robots. He performs on streets and stages alike as Robot Rickshaw. Rogers is also a committed independent educator, regularly presenting lectures and offering Making Music with Robots and STEAM education workshops at universities, galleries, community art centers, makerspaces, and schools throughout the US.